WOOHOO, our Mini Maker Teacher Kait has finally hit the blog! We are so excited for you to learn about the talented woman who teaches most of our mini's here at the studio. We are continously inspired by Kait and hope you are, too! 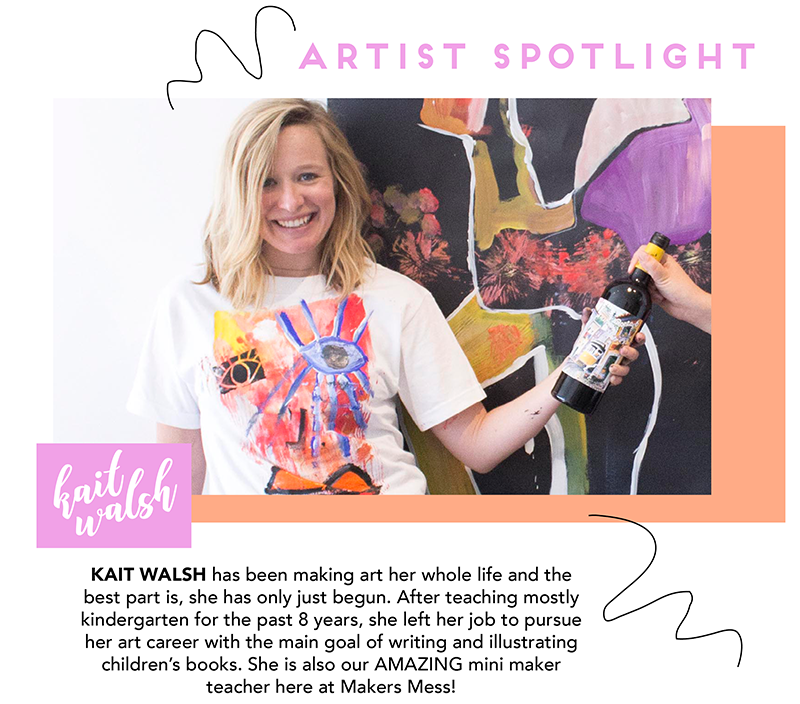 Kait Walsh has been making art her whole life and the best part is, she has only just begun. After teaching mostly kindergarten for the past 8 years she left her job to pursue her art career with the main goal of writing and illustrating children's books. With projects under her belt such as creating company logos, designing greeting cards and painting event backdrops, she is also excited to see where more time to create will lead! Makers Mess came into her life shortly after it opened thanks to a recommendation from the vintage shop next door. She attended classes such as erasure poetry and watercolor with Ana Victoria Calderon before becoming a Mini Makers teacher in August 2016. You will mostly find her teaching the holiday, spring break and summer camps where she takes advantage of the full days to guide and support the unique curiosities each child brings to class. Using a variety of mediums and techniques (and lots of found objects!) she emphasizes and encourages experimentation, exploration and lots of play. Some of her favorite days have included fascinator style hats made out of decoupage projects gone wrong, an interactive baby blanket made by an older sister complete with different textures, tags to play with and noise makers and last week's theatre production inspired by the astronaut and tiger costumes made entirely out of paper bags and foil. 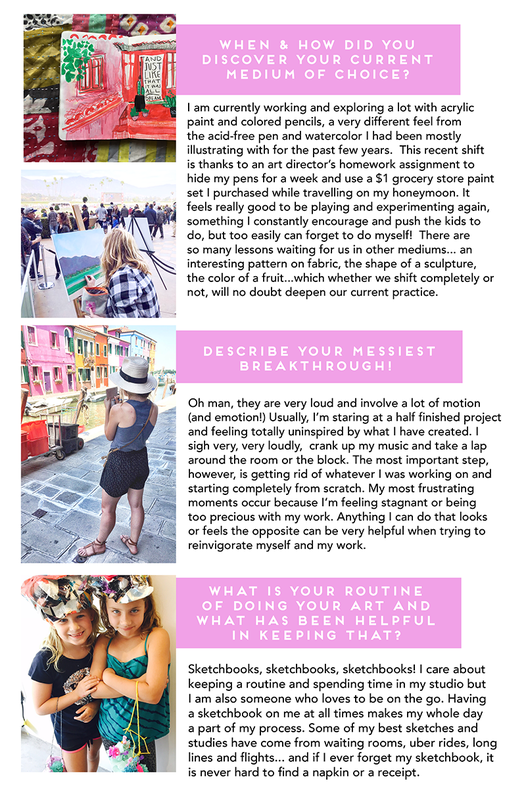 As Kait starts the new year she looks forward to working on and completing her 2018 bucket list: paint a mural, publish her children's book, illustrate an article for ManRepeller and learn how to use gouache. Cheers to these and may more!